1. Keep an open mind – Be willing to explore several academic paths if this is an option at your university. Even if you’ve already declared a major in chemistry, that first-year literature class you’re passionate about might open the door to a second major or even a minor. 2. Get to know your professors – Speaking with a professor is the best first step when you need clarification about something discussed in class. Talking to your professors shows initiative, and building these relationships often leads to research opportunities, internship recommendations, and future course suggestions. 3. Find your study nook – Maybe it’s the coffee shop on campus, under the oak tree on the quad, or on the silent floor of the library. Seeking out a favorite spot to do homework will help you get into your academic zone for some serious focus. 4. Map out your time – Did you know there are 168 hours in a week? That’s a lot of time! Consider mapping out your schedule to make time for classes, studying, clubs, and socializing. Don’t forget to include sleep in your schedule. 5. Join an on-campus organization – Joining a club is a great way to meet friends with similar interests and goals. Passionate about writing? Consider becoming a member of your university’s student newspaper. Can’t find a specific club? 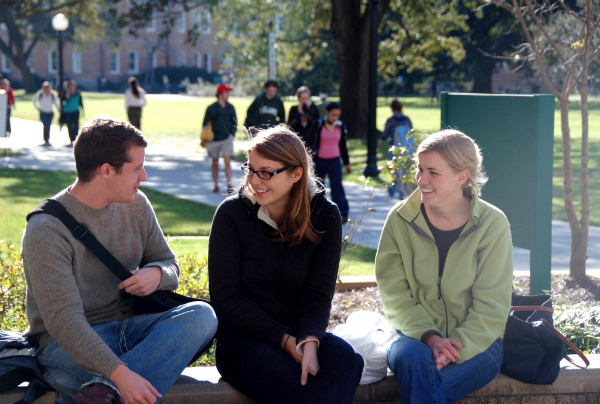 Most universities also offer avenues for students to create their own organizations. 6. Read the textbooks – Even if you don’t have homework to turn in, make sure to still complete the assigned readings. You’ll have a better understanding of the lecture topic, feel prepared for discussions, and retain more of material covered in class. Preparation pays off! 7. Take advantage of campus resources – Universities have an abundance of academic resources available to students. Writing labs, math support, and peer tutors are offered at most campuses. Even better, these resources are usually free! 8. Don’t cram – It can be tempting to wait until the day before a midterm to begin studying. Start preparing for exams a week before the test date. This way, you can review information over multiple study sessions, recognize the areas you need to practice most, and have time to ask your professor questions. 9. Connect with upperclassmen – Upperclassmen are all around you! They could be a friend you met in a club, a resident assistant, or your lab partner. Upperclassmen are familiar with your campus’s culture, can recommend great professors, and have valuable insight about adjusting to University life. Remember, they were once freshmen, too. 10. Get some sleep! A good night’s rest will recharge you physically and mentally for the day ahead. Even more, catching enough zzz’s will help you retain information from earlier in the day, so you’ll have a better memory of what you learned in class. How can we help refugees in their time of crisis?